Are Shih Tzu Hard To Potty Train? Shih Tzu get a bad rap when it comes to potty training. Some seem to think that because of this breeds stubbornness it can be difficult to train them. 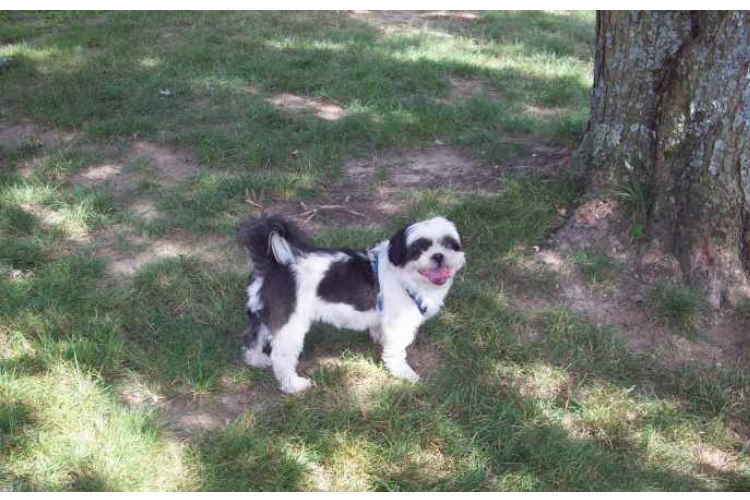 Potty training a Shih Tzu is no more, and no less difficult than it is to train any other dog. With consistency, positive reinforcement, and treat motivation, potty training your Shih Tzu can be easily accomplished. 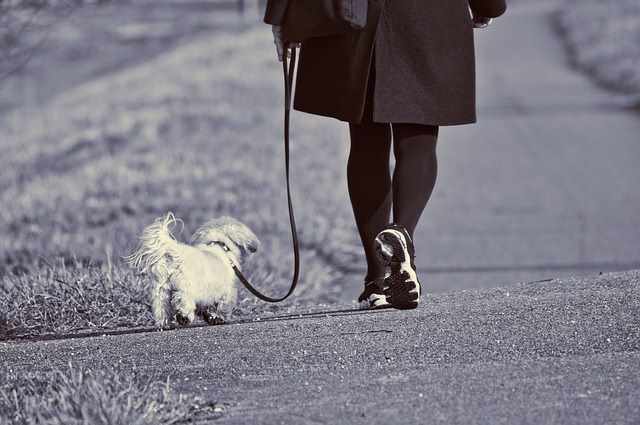 Training is a matter of establishing good habits in your Shih Tzu. Teaching him good habits from the very beginning, saves you a lot of frustration in having to teach him to "unlearn" any bad habits later on down the road. However, there are also certain things you can do to make potty training much more effective. Training takes patience, lots of repetition, and a daily commitment. It can be a lot of work. But using the following tips, can set your pup up for a successful potty training experience. Determine exactly where your pup is to eliminate. This could be an area in your yard, or the street, or even on potty pads in the laundry room. Wherever it is you want him to do his business, it needs to be established from the very beginning. This is the spot you will be taking him to each, and every single time during his training. Make a schedule and stick to it. One of the most effective potty-training tips you can use is a schedule. This will make his potty training so much easier. If your puppy is less than 12 weeks old, they haven't yet learned to hold their bladder, so plan on taking him out every 1-2 hours for the first couple weeks. An older puppy may be every 3-4 hours. If you have an adult or senior dog, he has most likely learned to hold his bladder for a longer period of time. But since he's new to your home, you'll still have to figure out how often he needs to go. You may find that you'll need to tweak your schedule a time or two to find what works best for you in the beginning. *Keep in mind, puppies can't usually hold it all night, and you may find that you need to take them out at least once, or twice during the night. Take him out when he first gets up. When training your dog, it's very important that you take them directly to their designated area shortly after they wake. Your dog may have been holding it for several hours at this point. And may not be able to hold it once his body wakes up. After this first morning break, continue to follow your schedule as much as possible. Be sure to take him out no more than 30 minutes after he eats, and just before bedtime. As your dog becomes more familiar with his schedule (about a week) you can begin gradually increasing the amount of time between his next potty break. So instead of every two hours, you can try increasing his next break by a half hour and then an hour, and so on. If you find that he's having more accidents in the house, shorten the time in between. Give it a name. Whatever you choose to call the activity of elimination, you want your dog to know what it is you want her to do. The moment she squats, give it a name by saying something like "go pee," “potty,” "wee wee," or whatever name works best for you. Remember to give praise when she's done. Whatever you choose to call it, make sure to say it clearly. Then say that word every time you bring her to her spot. Eventually she will know what it is you want her to do without you even having to utter a word. It's very important that the word you use is clear and distinct to this particular training. You don't want to confuse your dog by having words that sounds similar to other commands. Praise. Who doesn’t like to be giving a bit of praise when we do something good? A Shih Tzu likes it too. A couple “good boy” or “good girl” with a quick rub behind the ears will help your dog associate what it is that made you happy and got them a reward. Tone of your voice. The tone of your voice is just as important when training a dog. When giving praise, let your voice have a little bit of excitement in it. Dogs respond well to this. Use a crate. Let's face it, we can't watch our dogs every minute of the day. So it's inevitable that your dog will likely relieve himself when you aren't looking. For this reason, many professional trainers recommend crate training, to help get through the first few months. Whether you intend on using a crate or not is up to you. But keep in mind, dogs don't usually mess where they lay, so a crate has its advantages. Wouldn't it be great if when housetraining your Shih Tzu, you could just show him where to go, and what to do over the weekend and that would be the end of it. Unfortunately, it doesn't work this way. For the majority of dogs, you can expect anywhere from 4 to 6 months for them to be fully house trained. Don't panic, that rigorous schedule of taking your puppy out every 2 to 4 hours is only during the first couple weeks. During those first couple weeks, your puppy is learning where he is expected to relieve himself. He is also training his bladder to hold it in longer as you are gradually increasing the time between potty breaks. After the initial 2 weeks, you'll notice that he can go several hours without an accident. But, it is very unlikely that you can be confident that your dog will not mess your carpet with only a few weeks of training. Continuous training is needed for several months in order for your Shih Tzu to fully understand this concept. And even then, there still may be the occasional accident due to circumstances beyond his control. Dogs will usually give us a heads up when they need to go out and 'do their business'. For people who have had dogs before, they may have become pretty savvy in picking up on these cues. But for the new dog owner, these signs may not be so obvious. No worries, you just have to know what to look for. This comes by spending time with your dog and getting to know him. With time, and careful observation you'll know exactly when your dog is trying to give you a heads up. Standing by the door. This is an easy one, but not everyone understands the reason their dog is standing by the door. It may be because he knows that when he goes out that door, he can go potty. He may be looking at you or the door. Laying down or sitting up straight. He may be silent or lets out a bark. He may even scratch at it a few times. A new dog may not learn that the door leads to outside where he knows he should relieve himself, until he's been taken through it several times in his training debut. Restlessness and Whining. A dog may become restless when she has a strong urge to relieve herself. If she seems to be pacing around, back and forth near the door, or whining for no reason, she may be trying to tell you something. If you notice this change in her behavior, especially if you know she has had a lot to eat or drink, take her out immediately. Sniffing and circling. You've may have noticed right before your dog goes, he will sniff an area he intends to use as a toilet. If he's sniffing the floor, moving back and forth, or starts circling, he mostly likely has to go out. He's staring at you. My Shih Tzu Max does this. He just sits down in front of me wherever I am, and just stares at me. It took me quite some time to realize why he was doing that. He has a pretty calm personality. So it wasn't unusual for him to just be "in the moment," and appear to be taking in the scenery. In time and with good observation you will begin to pick up the cues your dog gives you when he needs to go out. And always be ready to praise him for letting you know he had to go. Young puppies haven't developed control over their bladders yet. So when they get the urge to go they will go wherever they happen to be. If you are not taking them out as soon as they wake up or after eating, or not taking them out often enough, you will find they leave these little surprises for you. The worst thing you can do it smack your puppy, or smush their face in it. Not only will they not understand why they are being punished...it's just cruel. Instead, if he made a mess and you did not catch him in the act, just pick it up and toss it out. Yelling at your dog at this time is pointless. Dogs live in the moment, and they won't know you're yelling at him cause of that little mess he made. Plus, you may be inadvertently creating confusion for you're dog should he be behaving like the perfect pooch at that moment. If you walk in and see him relieving himself, well now this is where you can fix their bad habit. Immediately clap your hands together and say "NO". You don't have to yell, but you must get your dogs attention. Pick him up and take him to his designated potty spot. Thoroughly clean the area he messed in. It must be thoroughly cleaned so there is no lingering odor. You may not be able to smell the odor, but your dog will, and will use it for a future potty spot. There are several odor-removing products on the market. Nature's Miracle and Rocco & Roxie have an excellent product specifically for this purpose. So if he has an occasional accident after months of training don’t freak out, it's just a slight setback, it's bound to happen. Try to figure out why he had the accident...did you wait too long to take him outside after he ate? Did he wake up from a long nap and wasn't taken to his spot? Or were you held up in traffic and didn't get home in time? If there is a rational reason, and its not a medical issue, it can usually be corrected. There isn’t any big secret to potty training your dog. Establish a schedule, stick to that schedule, give praise and rewards for a job well done. It's not really rocket science, so try not to complicate it. It doesn't matter if you intend on using puppy pads, the great outdoors or a combo of both. The fundamentals are still pretty much the same. If you have family you need to make sure they know the schedule, and can help out. It's better when everyone is the house can take some of the burden of training. To say that all Shih Tzu are hard to potty train is stereotyping a whole breed. Not fair. 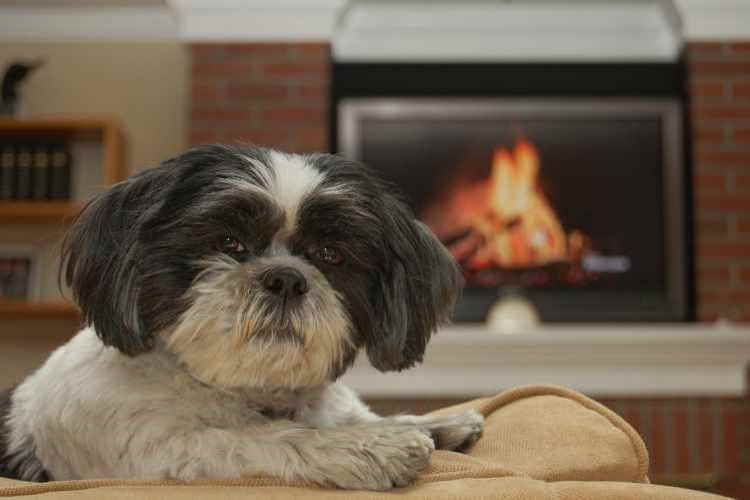 Yes, you may have some Shih Tzu that just don't seem to get it, but really, that can happen with any dog breed. Overall, as long as you make training your Shih Tzu a daily habit, and have patience and follow the steps above, potty training your Shih Tzu should be easy peasy.